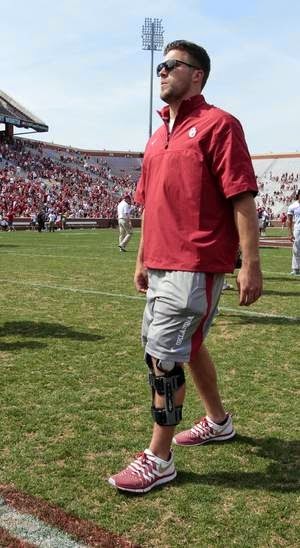 Shirts With Random Triangles: Oklahoma TE Blake Bell gives update on recovery from knee injury. Bell made the switch from QB to TE this offseason following the emergence of Trevor Knight, who led the Sooners to an upset over Alabama in the 2014 Sugar Bowl. The win over the Crimson Tide may explain Bell's response when asked on his expectations for the 2014 season"